In 18th C. Muro Lucano, there existed at least 25 different Tummillo families. Because so many, and also repeating first names of family heads 1699-1799, common ancestors for these groups likely are in the 1600s; family heads with same first names were probably cousins (not brothers), based on the way the Italian naming custom works. There were likely more than one or two Tummillo families exisiting in the 1600s. The earliest that PCIR has found is a Tommaso Tummillo (born about 1698 or earlier), but some early records have been destroyed. The Tummillo folks of Albany, NY (whose surname spelling changed to “Tommell” ,and also a Chicago line, trace back to Biase Tummillo (b.1726), son of Vito Tummillo and Rosa Colonna. Biase had a sister Teresa (b.1722), who married Andrea Perillo in 1748. Biase’s son Sabato (b.1762) and wife Rosa Pisaturo were married in 1784. They had at least two sons, Giuseppe and Nicola. Nicola’s wife, Maria Mennonna, gave birth to 10 children (not all lived) but in 1872, son Sabato (b.1820) married Brigida DiVito. Brigida gave birth to nine. Their son Nicola (b.1848) married Angela Cantore in 1872. Four children: son Francesco lived in Chicago, while another son Sabato, lived in the area of Albany, NY. The only daughter, Brigida, died in 1907 at age 17. Descendants of Francesco and Sabato have recently discovered each other (through PCIR) and are happily sharing information. One other son, Antonio (b.Aug. 8, 1881), is believed to have also emigrated to the USA. PCIR is now in pursuit of Antonio and his descendants. Families of Francesco and Sabato eagerly await the moment when they can be reunited with the family of their ancestors’ missing brother. 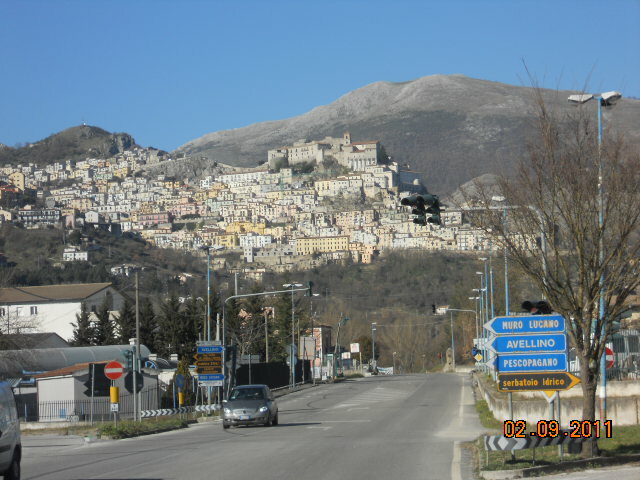 Tummillo family in Muro Lucano, Province Potenza Italy.